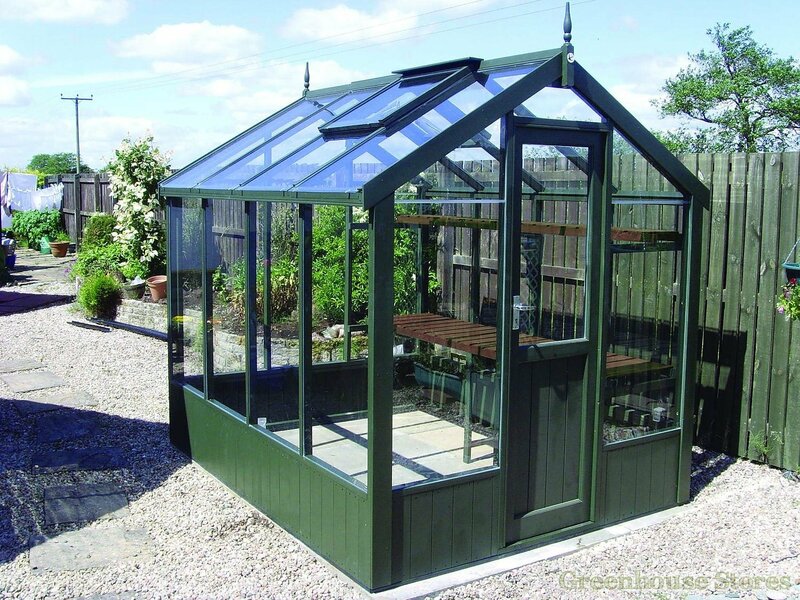 The 6ft x 10ft Swallow Kingfisher is a large sized greenhouse for serious growing. 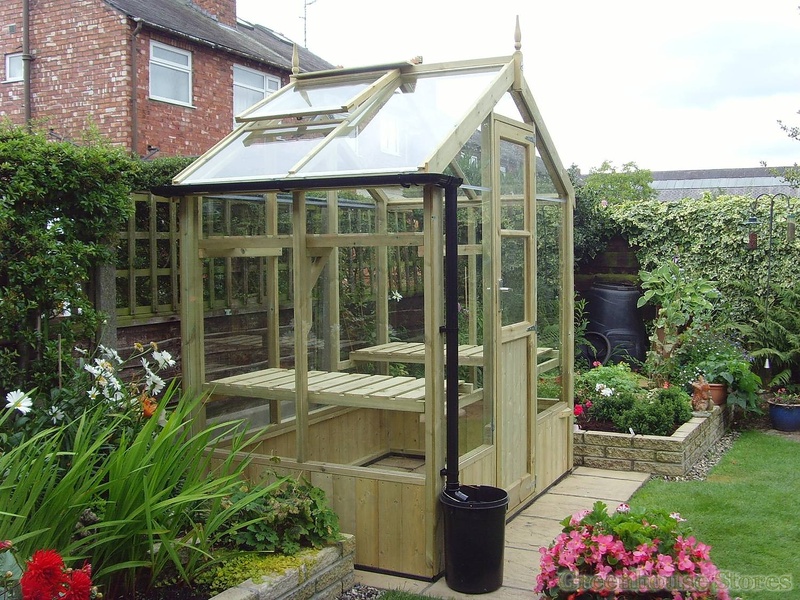 Its a very usable size, looks superb and is installed for FREE ! 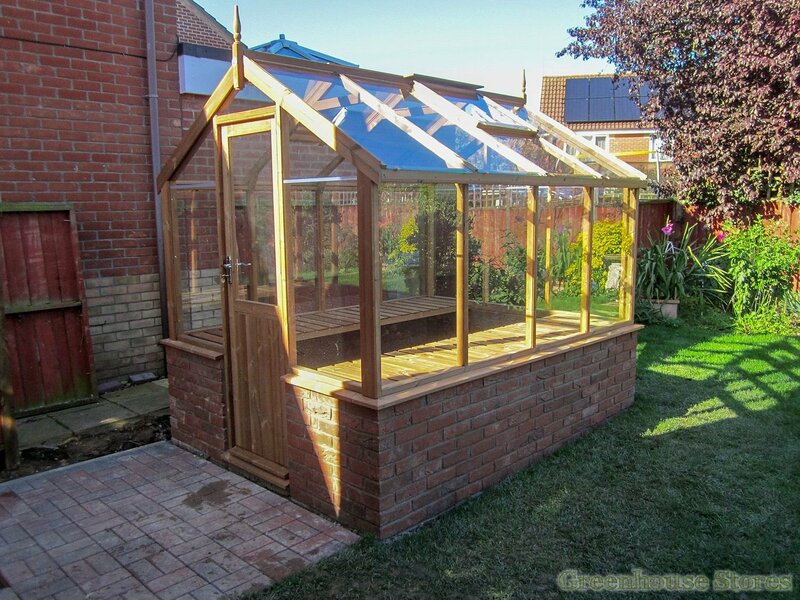 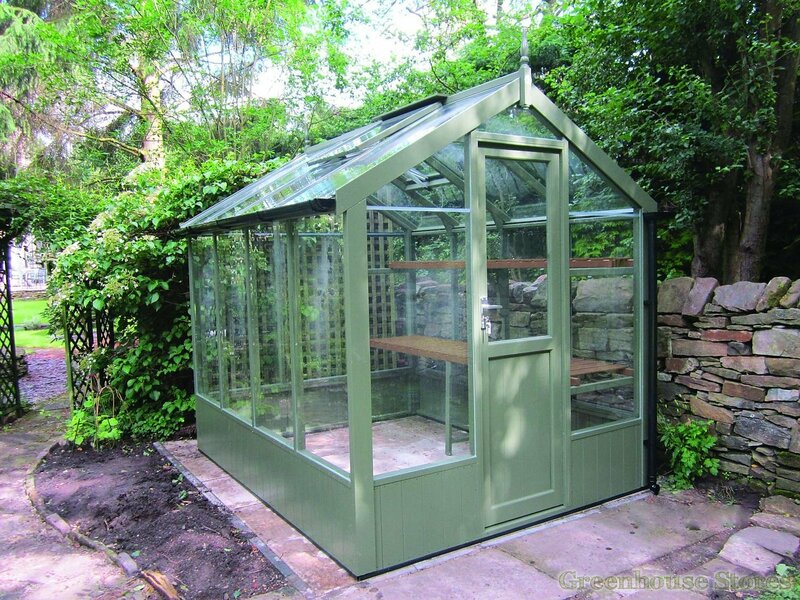 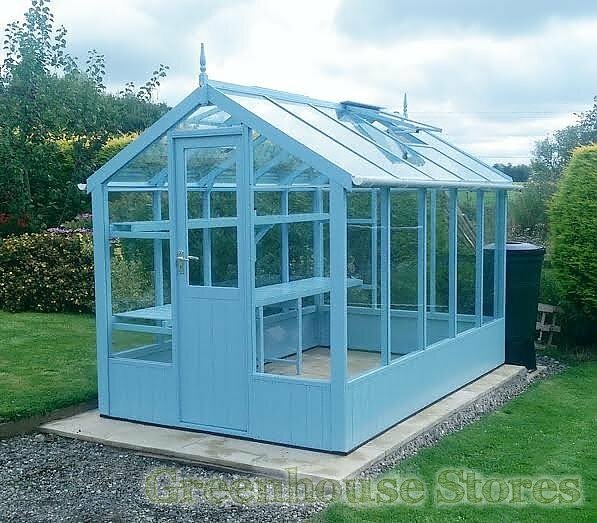 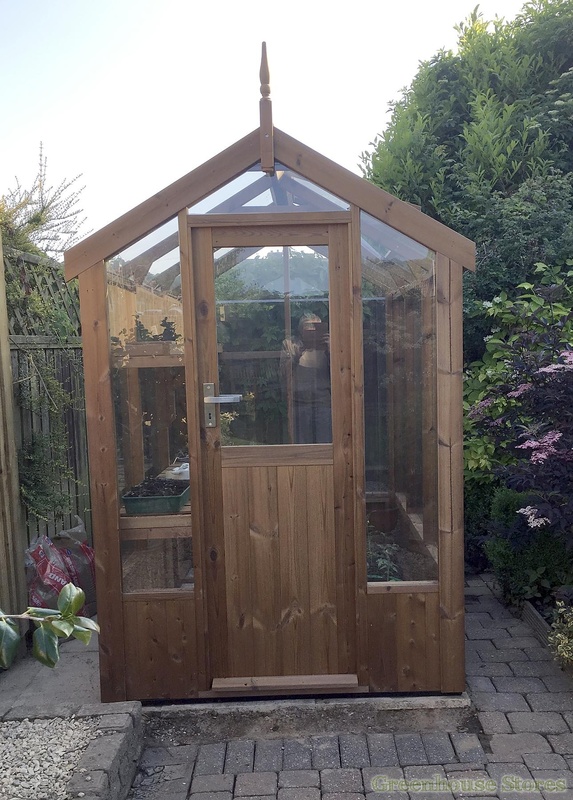 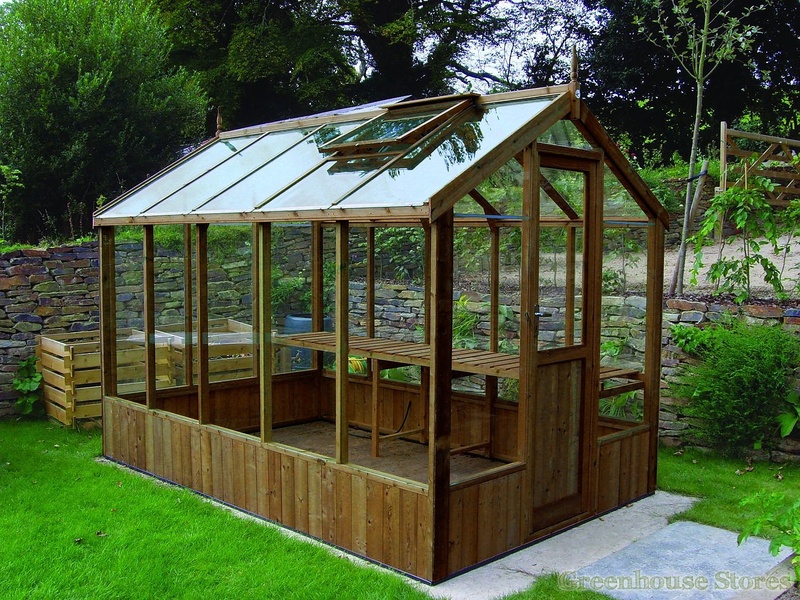 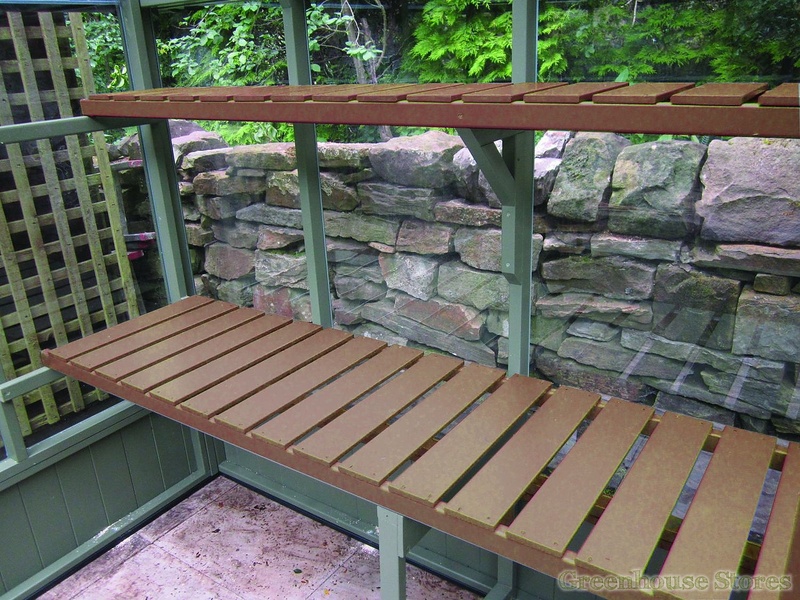 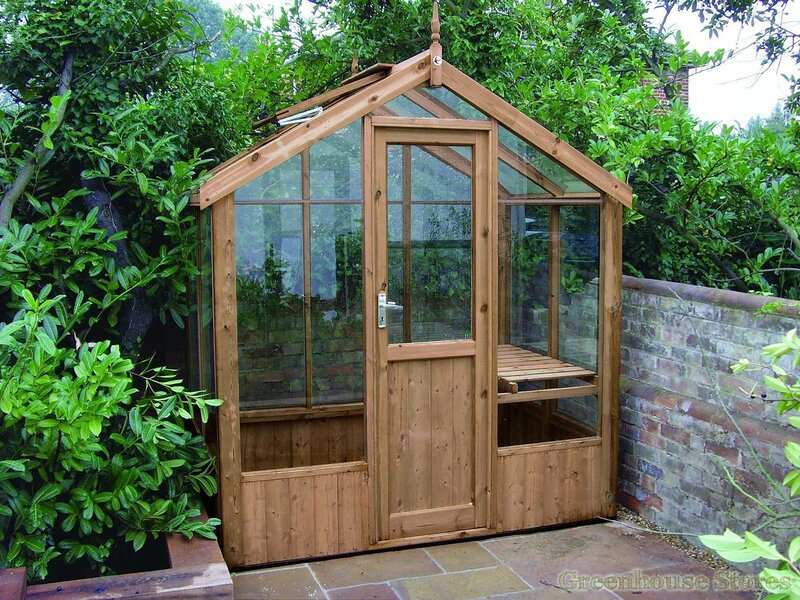 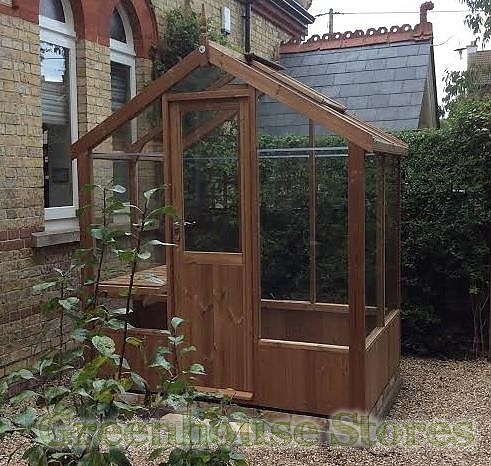 2035mm (6ft 8") Wide Wooden Greenhouse - Ideal size for most gardeners. 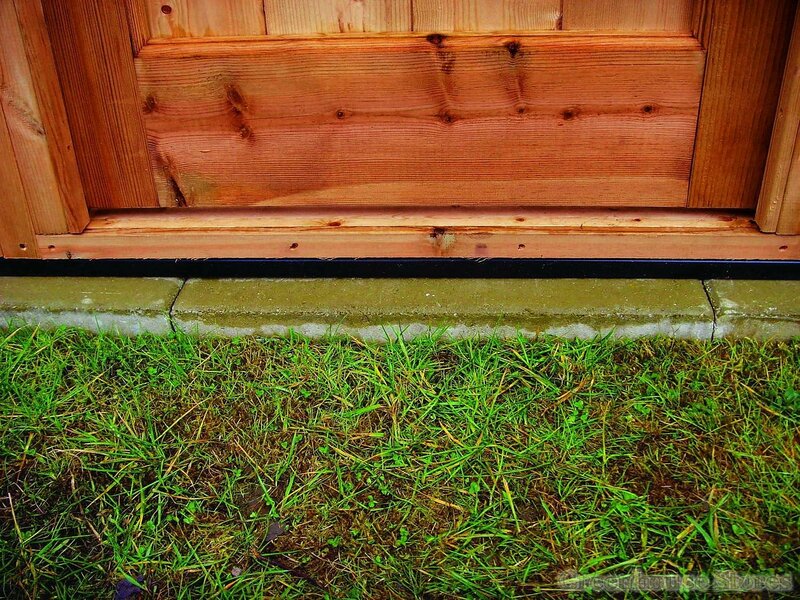 Bottom Boards 12mm - Tongue + Grooved with stainless steel nails. 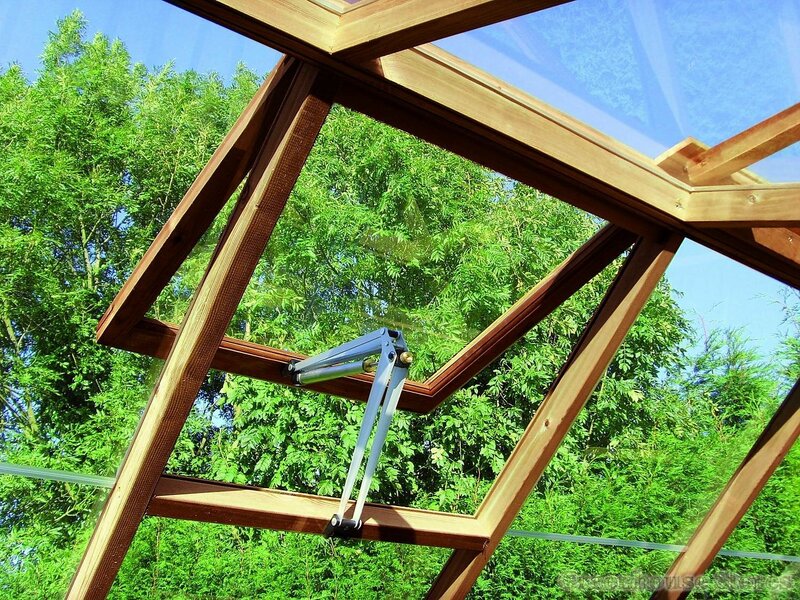 Each roof vent is supplied with a Bayliss XL autovent to automatically open the roof vent when you’re not around to stop over heating. 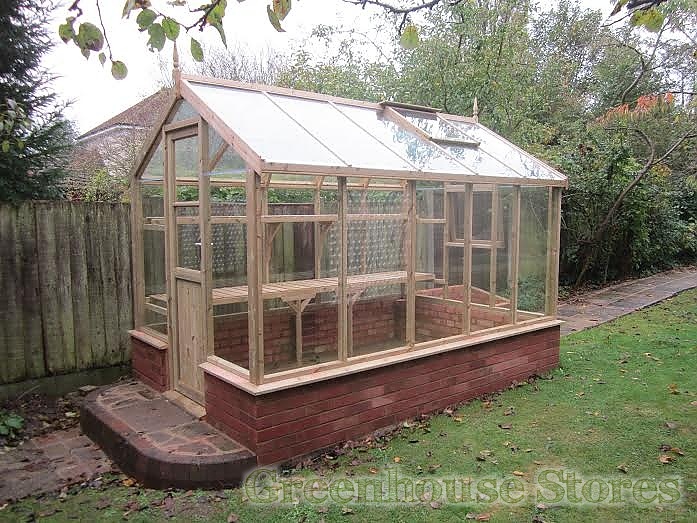 You also get a full length of slatted staging down one side of the greenhouse for working on and storing your plants. 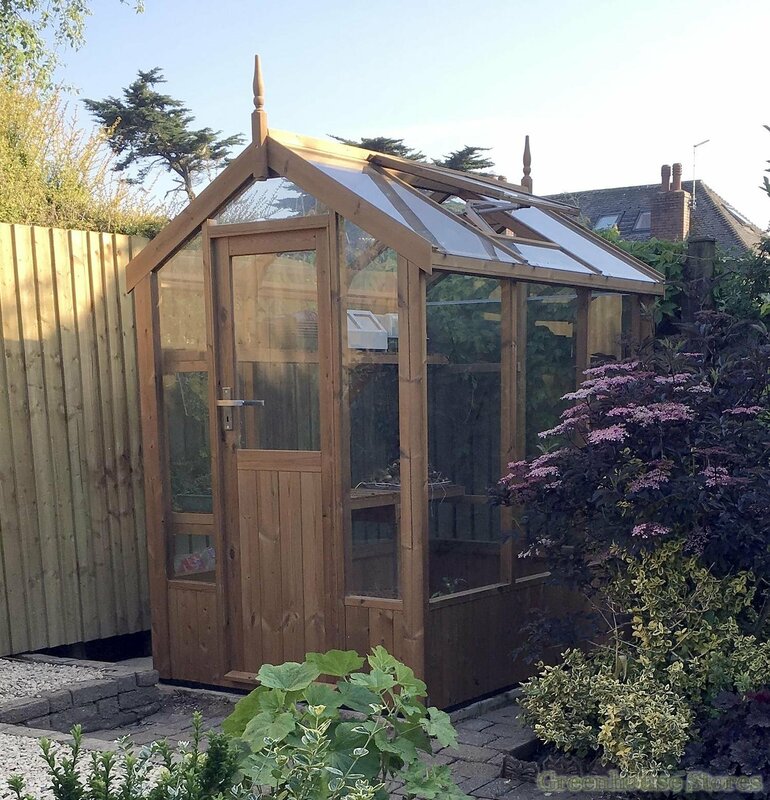 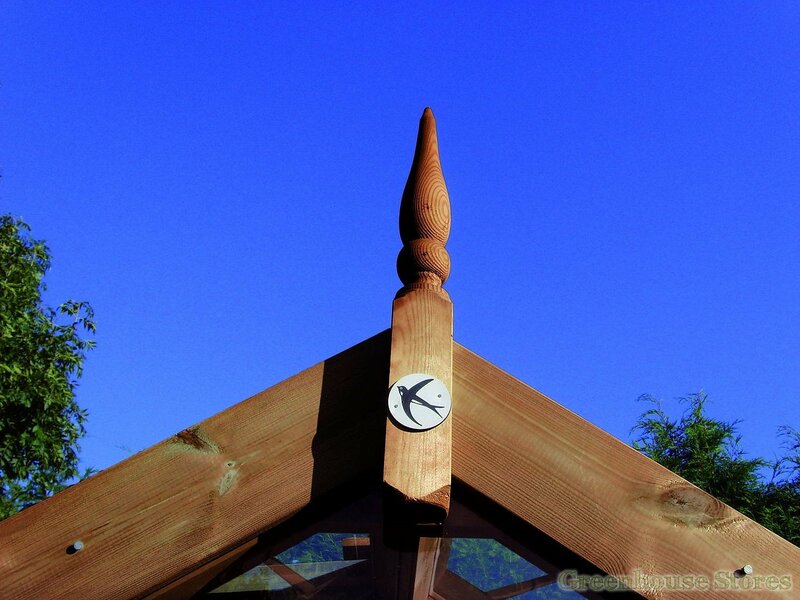 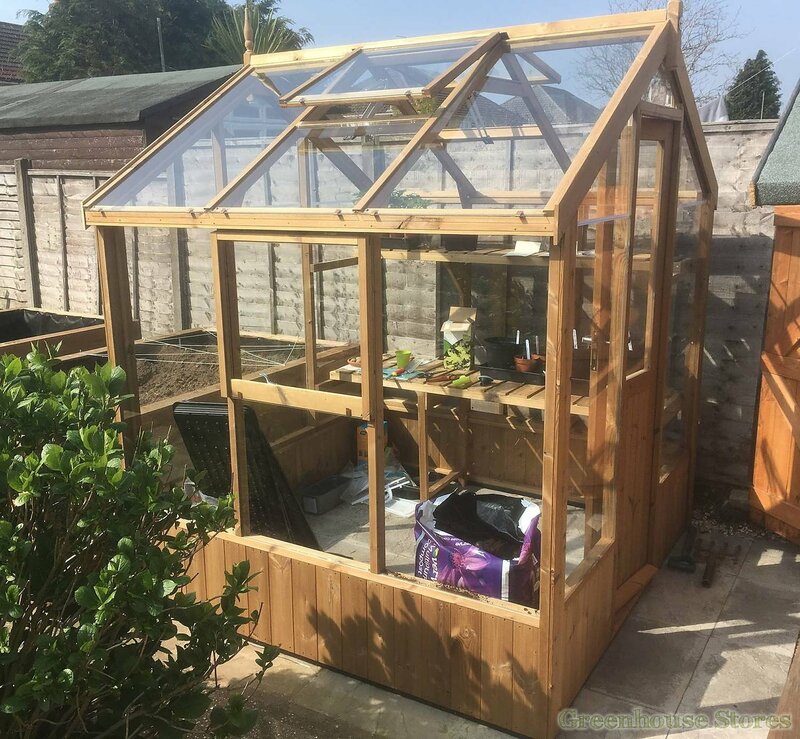 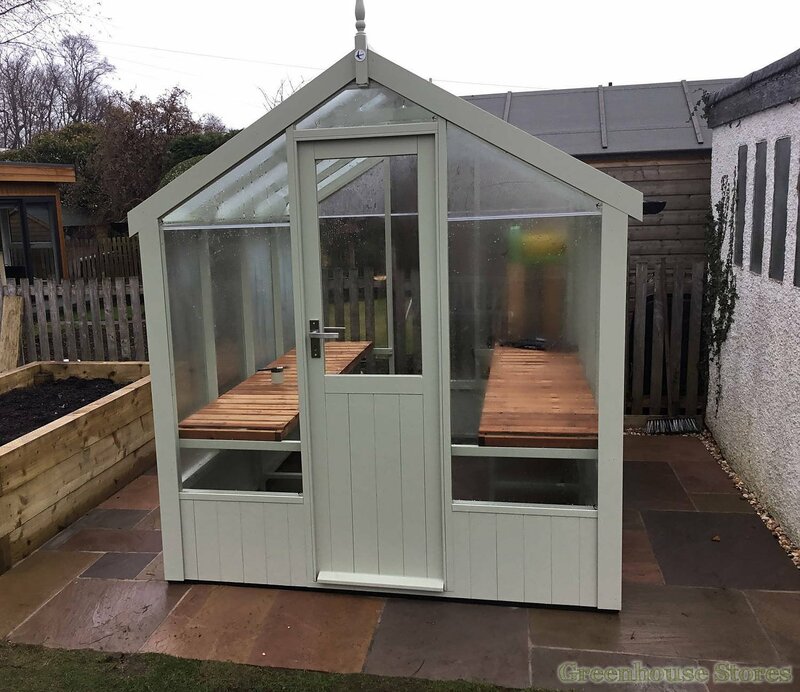 The Swallow Kingfisher is the finest 6ft wide wooden greenhouse available today and when you consider it has a 10 YEAR WARRANTY and free installation it’s not hard to understand why we rate Swallow wooden greenhouses so very highly. 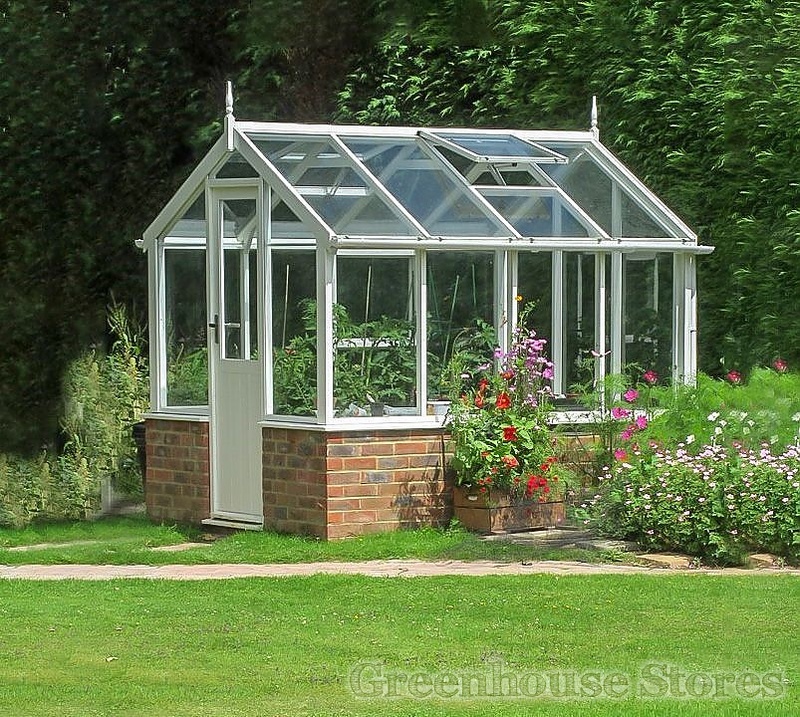 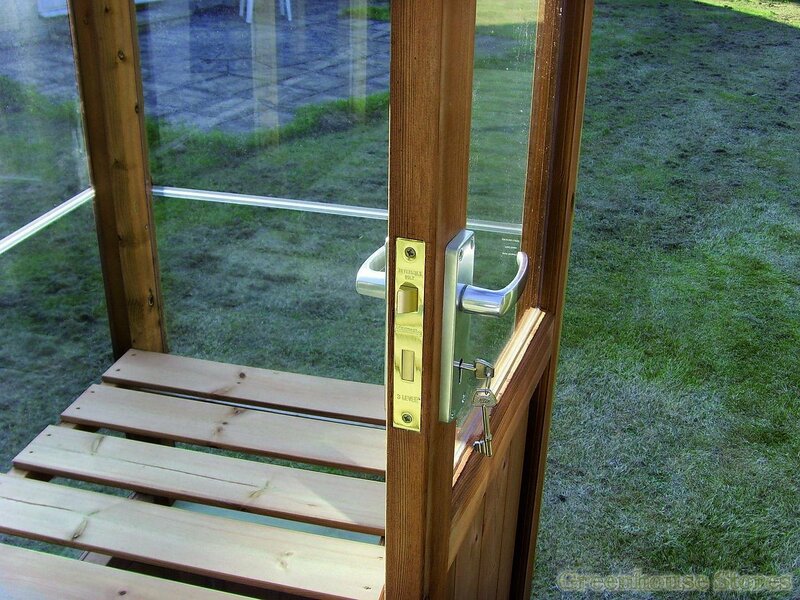 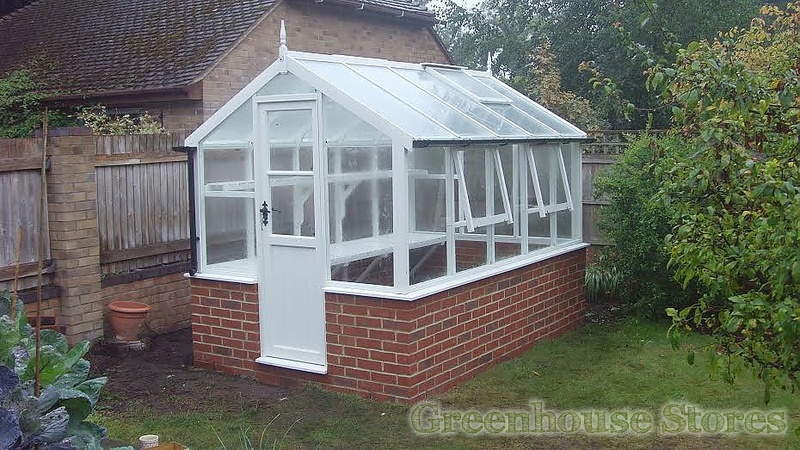 Add a door to the rear of your greenhouse for access back and front. Add this useful 6ft x 4ft combination shed to the back of your greenhouse for extra storage. 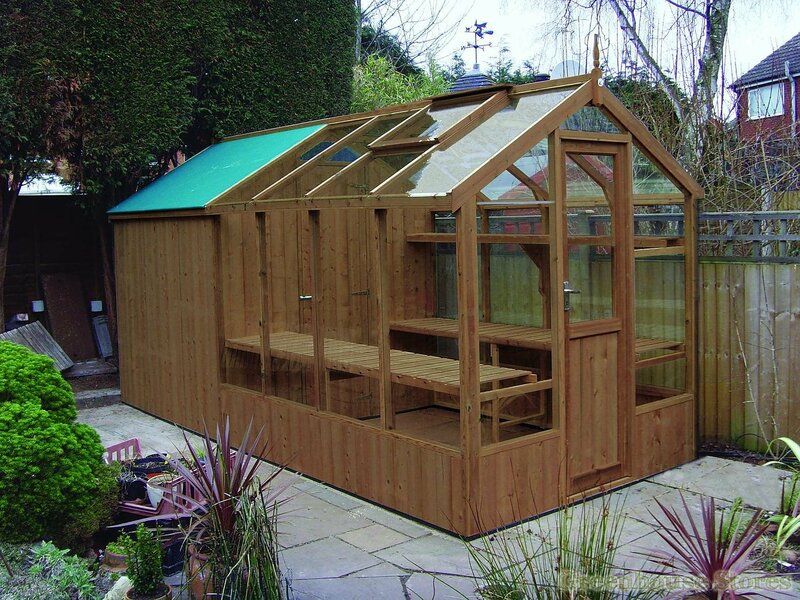 Add this useful 6ft x 6ft combination shed to the back of your greenhouse for extra storage space.